Just a few weeks ago, in the final stretch of the presidential campaign, President Obama announced that “Al Qaeda is on its heels.” It was a claim echoed by senior administration officials from DNI James Clapper (who declared al Qaeda “diminished”) and Defense Secretary Leon Panetta (who claimed “we’re within reach of strategically defeating al Qaeda”) Republicans were quick to disagree, of course, but they seemed to think their most eloquent rebuttal was simply the 9/11 attack in Benghazi that killed Ambassador Stevens and three other Americans. 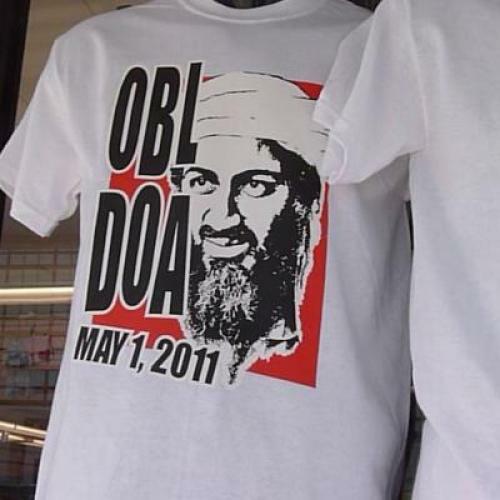 Suddenly, the threat of al Qaeda seemed horribly clear. In fact, reports of al Qaeda’s demise are both true and overstated. For as the President and his advisors contend, the core organization now led by Ayman al Zawahiri is on its heels, with key senior leaders dead and many others on the run or in hiding. But as jihadist attacks in Benghazi, Yemen, and elsewhere indicate, the broader movement is alive and in some places prospering. Al Qaeda is best understood as a set of circles. At the center, the bullseye, is a relatively small organization of perhaps several hundred fighters who swore loyalty to Osama Bin Ladin and now to his successor, Ayman Zawahiri. They are often referred to as the “al Qaeda core,” “Al Qaeda Central,” or the “Al Qaeda Senior Leadership” (of course, this being Washington, this immediately became AQC or AQSL). At the outer circles are a loose set of groups and individuals who share at least some of the core’s ideology and goals: so the “D.C. Five” who traveled from the United States to Pakistan, reportedly to fight U.S. troops in Afghanistan, had no operational links to the core but accepted its key tenet that U.S. forces were engaged in an oppressive struggle against Islam and should be fought with all means. In the middle circles are individuals who received some al Qaeda training and support but who have not sworn loyalty to Zawahiri. Perhaps the most important, and most ambiguous, category today is al Qaeda affiliate groups. For even as the al Qaeda core has been hit hard, affiliate groups have prospered. Al Qaeda of Iraq, Al Qaeda of the Arabian Peninsula (based in Yemen), Al Qaeda of the Islamic Maghreb (which grew out of the Algerian struggle), and the Shebaab in Somalia all have some formalized relationship with the al Qaeda core. In addition to taking on the al Qaeda name, they have also vowed to attack Western targets and implement an Islamic state. In some cases they have struck at Americans and Europeans in their region and used al Qaeda methods, like suicide bombings. And one affiliate, Al Qaeda of the Arabian Peninsula, has tried twice to down U.S. aircraft in sophisticated operations that, if successful, would have been major coups for the jihadist cause. Outside these immediate affiliates, groups have emerged in Mali, the Sinai peninsula, and Nigeria that espouse al Qaeda ideas even though the groups themselves are not (yet) operationally close to the al Qaeda core in Pakistan. Groups like Ansar al-Sharia, and even more direct affiliates, like Al Qaeda of the Arabian Peninsula, pose a threat that is quite distinct than that of the al Qaeda core. The good news is that they are far less able, and for the most part far less interested, in hitting the U.S. homeland. Much of their effort is local, fighting the government where they live and rival groups that contend for the same turf. The bad news is that they are often eager to target Americans in their neighborhood, whether it be official facilities like the consulate in Benghazi or assassinating Americans with the bad luck to stumble in their paths. Perhaps the biggest overall threat they pose is to regional stability. In Mali, that may matter little, but in the Sinai peninsula they could spark another clash between Israel and Hamas in Gaza, while in Iraq their violence might lead to a renewal of the sectarian civil war. Going after the core with drone strikes and international intelligence and police cooperation remains a priority. But the United States should also think hard about the affiliate question. One important implication is the risk that unresolved civil wars can pose. In Syria, the jihadist presence has gone from non-existent to marginal to considerable: a predictable development in a country where local Sunni Muslims believe the world is doing little to protect them and understandably welcome any help they can get, even if they do not approve of the message of the helper. Another implication, somewhat ironically, is to ensure the successful transition of Islamist movements like Egypt’s Muslim Brotherhood into successful political parties. Zawahiri’s message is that violence, not peaceful politics, will advance the cause of Islam and, not surprisingly, he loathes the Brotherhood. Helping show that a peaceful alternative will work is vital to preventing local Islamists from taking up the banner of jihad. Finally, U.S. officials need an open and sustained dialogue on the question of which affiliate groups are priorities and which are distractions. Al Qaeda of the Arabian Peninsula has tried to hit the U.S. homeland, and helping defeat it in conjunction with the Yemen government is prudent. On the other hand, intervention in Nigeria would accomplish little and probably make jihadists who now focus locally into a strong anti-American force. The Benghazi tragedy offered a rare opportunity to educate the public about these distinctions but instead degenerated into a way to score political points. As a result, the American people are more confused than ever. Daniel Byman (@dbyman) is a Professor in the Security Studies Program at Georgetown University and a senior fellow at the Saban Center for Middle East Policy at Brookings.